I’ve always been a manual toothbrush person. I know of a few people who use electric toothbrushes and always thought it was for the lazy. 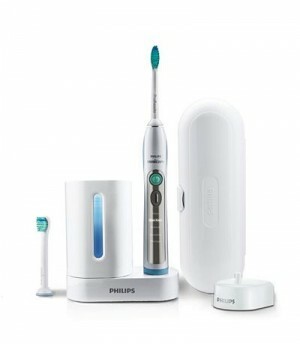 However, I started using an electric toothbrush a month ago when I and my son were sent one each to try out – a Philips Sonicare 28 day challenge to see if our teeth improved. Neither of us have ever used an electric toothbrush before and the first time felt really weird. It took a few brushes to get used to the vibration sensation in the mouth. I didn’t think my son was going to want to stick with it but he has. I like the reminders it gives you as time elapses. Mine turns off automatically after two minutes. The kids toothbrush comes with two different sized brushes depending on their age. So what do I think after using it for 28 days? I like that you use less toothpaste than you do on a non-electric toothbrush – we probably all use too much toothpaste anyway. I like that my teeth feel cleaner around the gums than they used to. 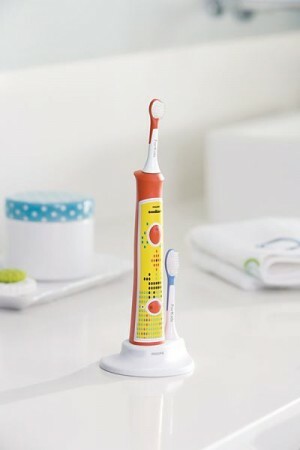 I think these toothbrushes help you brush better. And I definitely reckon my son’s teeth are cleaner. I always used to hassle him to clean his teeth properly because you could see the plaque left behind and I can’t see that any more. The only downside is that they take up more room on the bathroom cabinet and the cords are a bit messy. The upside to this is that their charge does last a long long time – I haven’t charged mine for at least seven days now and it’s still got plenty of juice. So if I could be bothered I could pack away the chargers until I need them. Will we keep using them? Definitely. The non-electric toothbrushes are now relegated to trips away. A couple of other bloggers I’ve come across did the same challenge and they have one each to give away. I didn’t organise for this but please leave feedback if that’s something you’d like to see here as well for another time. To win one of these toothbrushes visit Beyond the Bump and Diminishing Lucy.